The National Injury Insurance Agency, Queensland reports to the State Parliament through the Treasurer and prepares an annual report, as required by the National Injury Insurance Scheme (Queensland) Act 2016 and the Financial Accountability Act 2009. The compliance checklist located within the 2017-18 annual report outlines the governance, performance, reporting and other specific requirements for agency annual reports. Adobe Reader is required to open and print Portable Document Format (PDF) files and is free to download from the Adobe website. If you experience any difficulties with accessing PDF files on this website, please refer to our PDF help page. If you have any enquiries regarding the annual report, including making a request for a printed copy of the annual report, please email enquiries@niis.qld.gov.au. 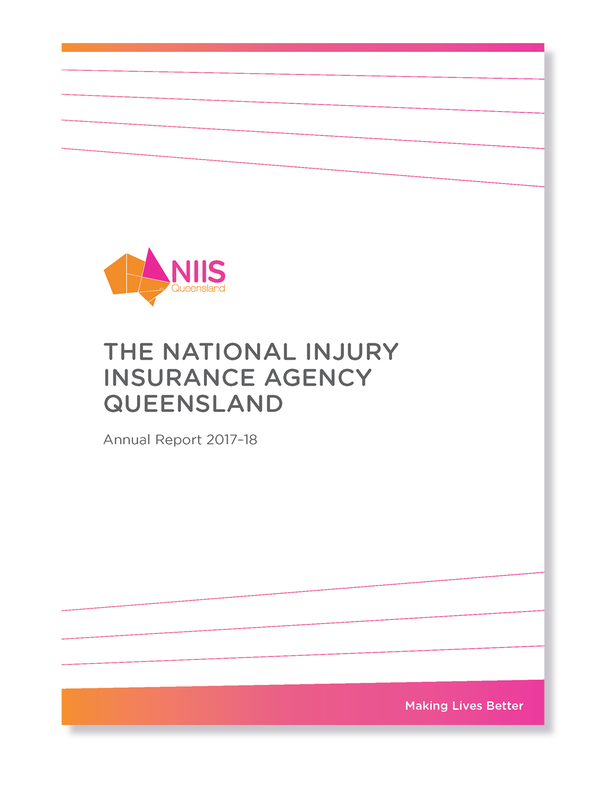 The electronic versions of the National Injury Insurance Agency, Queensland Annual Report 2017-18 provided on this website are for information purposes only and are not recognised as the official or authorised version. The official copy of the Annual Report, as tabled in the Legislative Assembly of Queensland, can be accessed from the Queensland Parliament tabled papers website.